Mt Sterling is a hidden winter gem destination in the shadows of Mt Buller. It all depends on what you are heading to the winter resort areas for. If it is cross country skiing, (learning or expert) or snow play with tobogganing and wandering thru the magnificent trails then Mt Stirling could be for you. 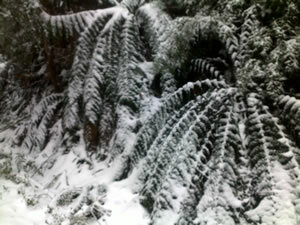 Mt Sterling is located 4 hours from Melbourne in the Mt Buller resort area and National Park. 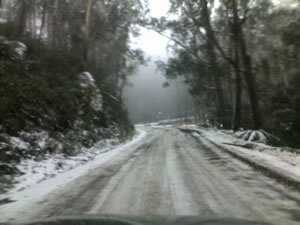 That means you have to enter thru the Mt Buller entrance. Out of Melbourne you will head thru the Yarra Valley and Melb Hwy or up the Hume to the Flowerdale or Tallarook turnoffs and get to Yea and onto the Melba. A pleasant drive making sure you obey the limits and watch for wildlife. Stop in at Mansfield for great food and service. If you have a diesel car make sure you fill up with Alpine Diesel and also make sure you have wheel chains if it is snow season. You can hire the chains at many places in Mansfield. Once thru the National Park gates the road up Mt Sterling is unsealed. It snow is expected or on the ground you will need to put the chains on at the chain wayside stop which is signposted. Once up the road to the car park the main stop point is called Telephone Box Junction. And this has a little store where you can get an awesome coffee or hot chocolate. You can also hire toboggans or cross country ski gear and obtain lessons (highly recommended). 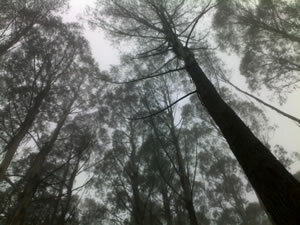 Love the tranquility of Mt Stirling. Immerse yourself in it. We only got as far as the Kings Saddle with the exceptional cross country ski guide but that was enough fun in itself being around 2 hours round trip. Of course skiing back on the trail was faster than trekking up. Mt Stirling deserves at least a day by itself, so make sure you give yourself enough time to explore.